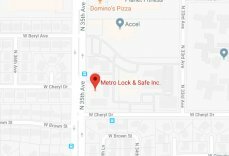 Preventing Commercial Break Ins | Metro Lock & Safe Inc.
Posted on September 12th, 2014 by Metro Lock & Safe Inc.
Crime may seem like it just happens, but that is often not the case. Crime is seldom unplanned. They become spontaneous only if easy opportunity presents itself. One way businesses can protect themselves is to think like a criminal and avoid creating opportunity. 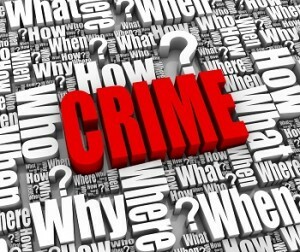 Getting advice from a security consultant in Phoenix is a great way to protect your business from commercial break ins. Here are some additional things you can do to protect your business. Lighting reduces opportunity. The right kind of lighting avoids creating shadows. It should also focus on all entrances and access points. Lights should be left one inside and outside when a business is closed. Motion sensor lights are an option, but be sure they are set high enough to avoid tampering. Having the best locks possible means shutting down opportunity. Talk to a locksmith in Phoenix to install high security locks on doors, windows, skylights, and any entrance into a building. Doors and windows should be kept closed and locked at all times. Open doors and windows create opportunity for burglars. Doors should also be built for high security. Make sure the frames are secure, with no rotting or structural weakness. The same goes for windows. Windows that are near doors create vulnerability. These windows should have laminated or tempered glass to avoid visibility. Also installing polycarbonate plastic or break-resistant acrylic windows reduce opportunity. Reduce any valuables left in the building after hours—especially cash. However, those that need to remain inside should be placed in a safe. This includes intellectual data and financial documents. Alarms systems are a large deterrent. They do as much to avoid opportunity as they do to get rid of someone who has actually broken in. Many burglars see an alarm system sign and move on. In the event that they don’t, security will be call to the scene, minimizing the time for crime as well as increasing the the chances of finding the person—and stolen items. Keep expensive items away from entrances. Expensive equipment should be placed where it is difficult to make a straight line to the exit. Stores should not display expensive or easy to grab items near doorways. These are just a few of the ways you can reduce opportunity for commercial theft. The more difficult a theft is to attempt, the less tempting it becomes. Keep your business safe by reducing risk whenever possible.